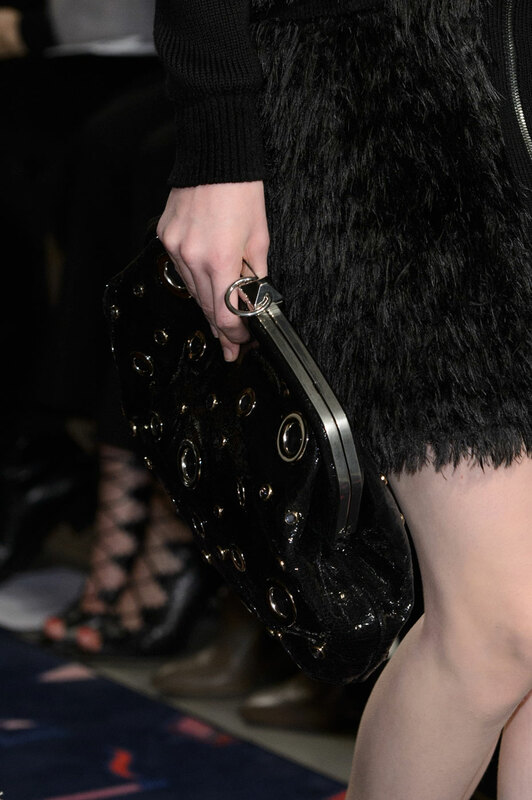 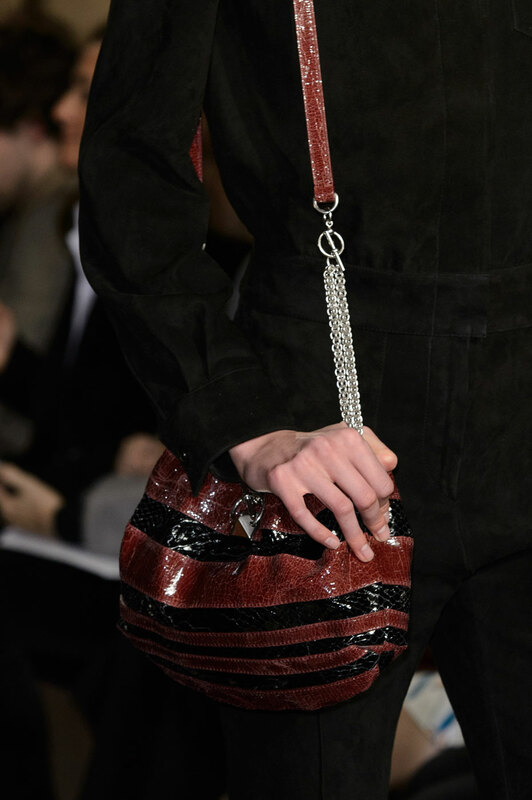 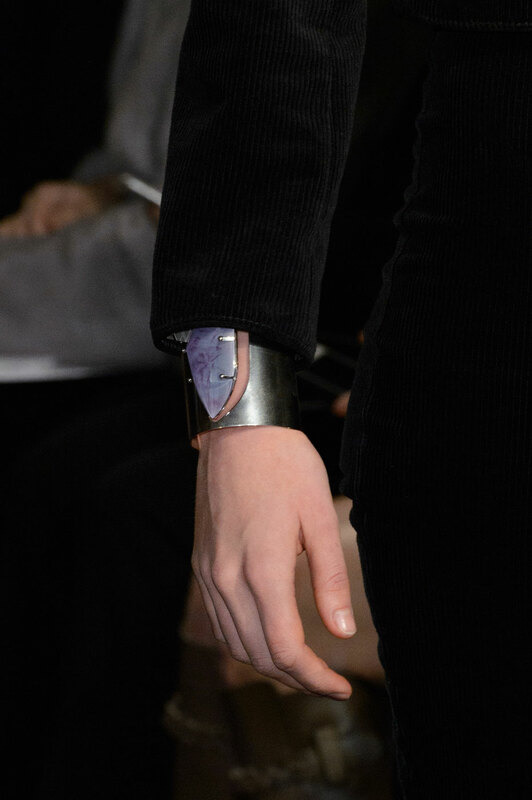 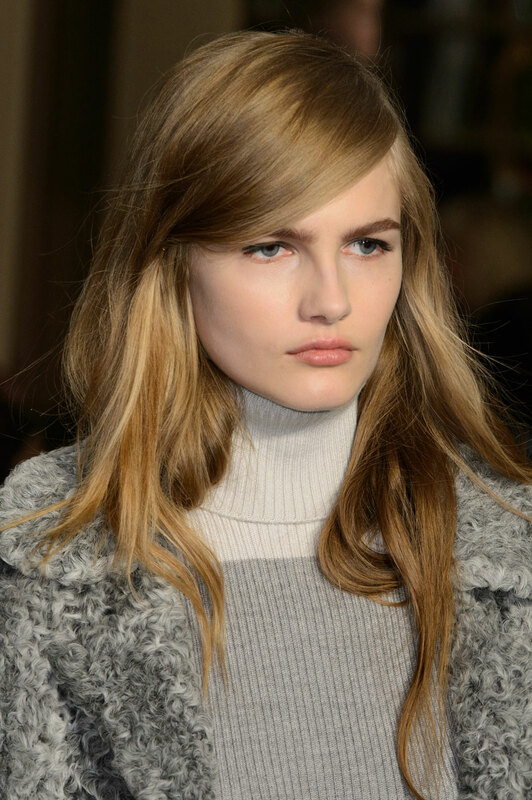 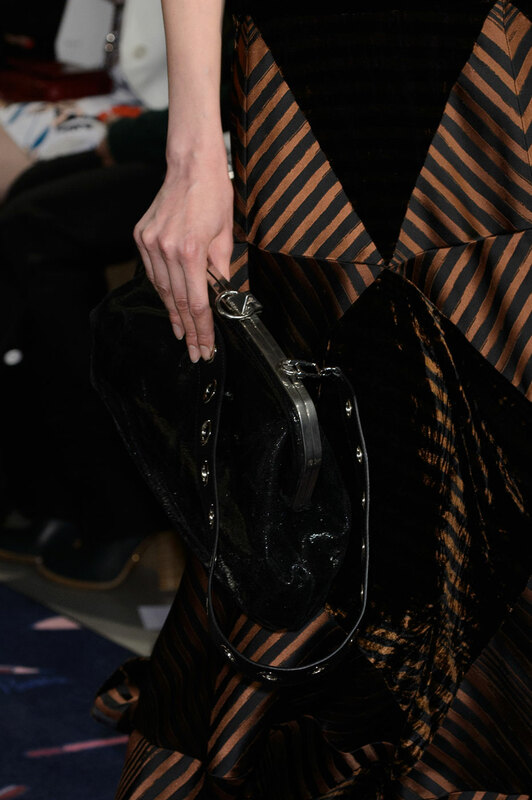 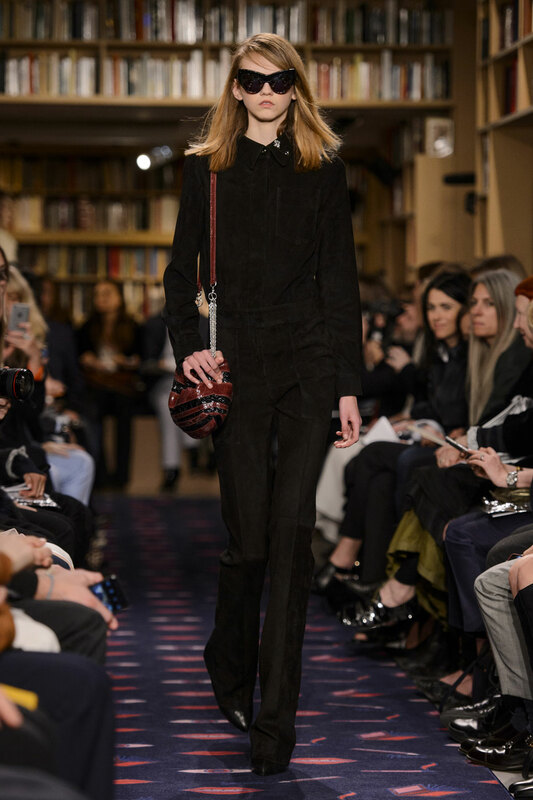 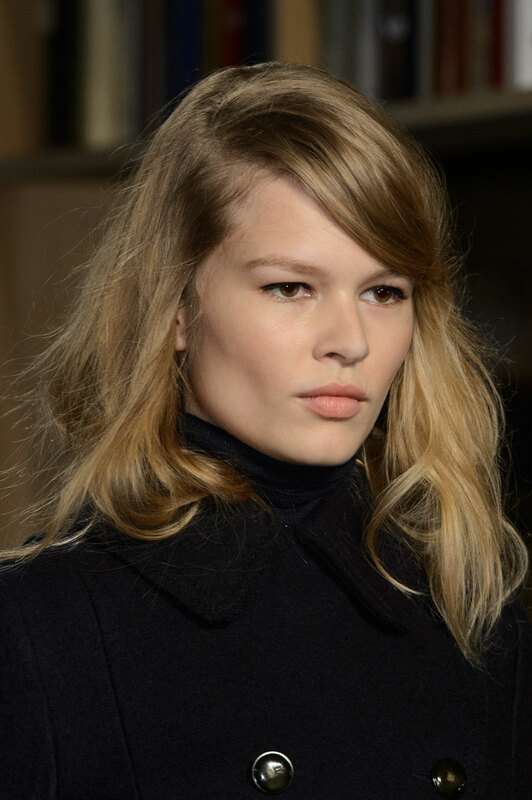 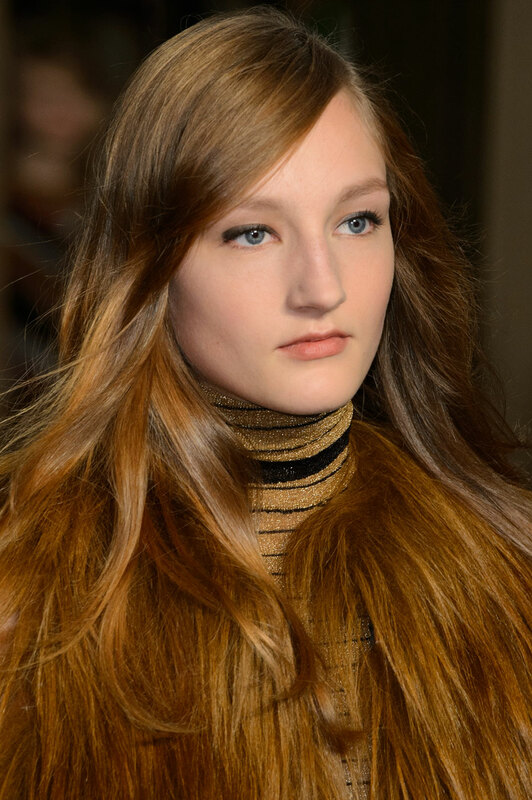 Sonia Rykiel Woman Autumn-Winter 2015 – Julie de Libran brought a collection of clean edges, elegance, sophistication and fury for Sonia Rykiel. 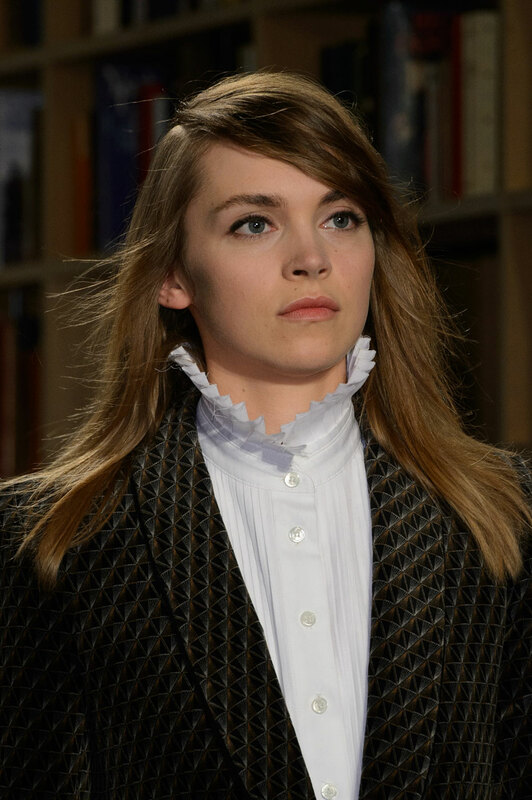 The French designer played off the Left Bank’s intellectual reputation by holding an intimate show in the label’s Parisian boutique, which the Rykiel team transformed into a library, complete with stacks that contained tens of thousands of books. 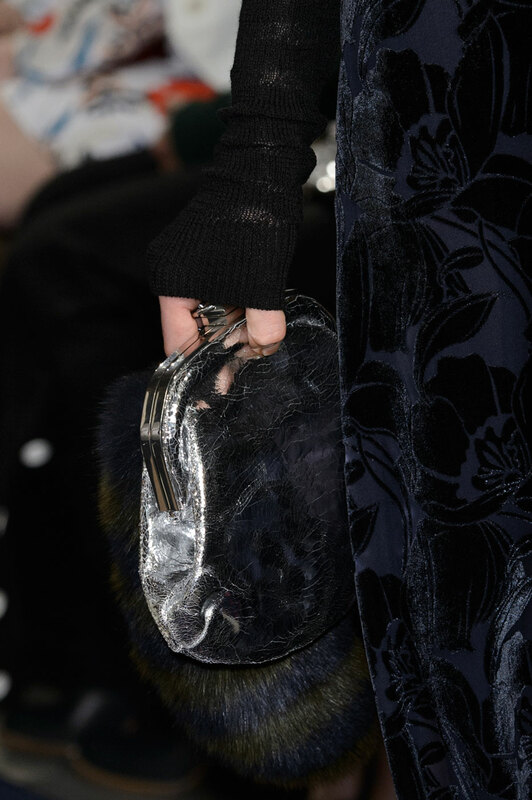 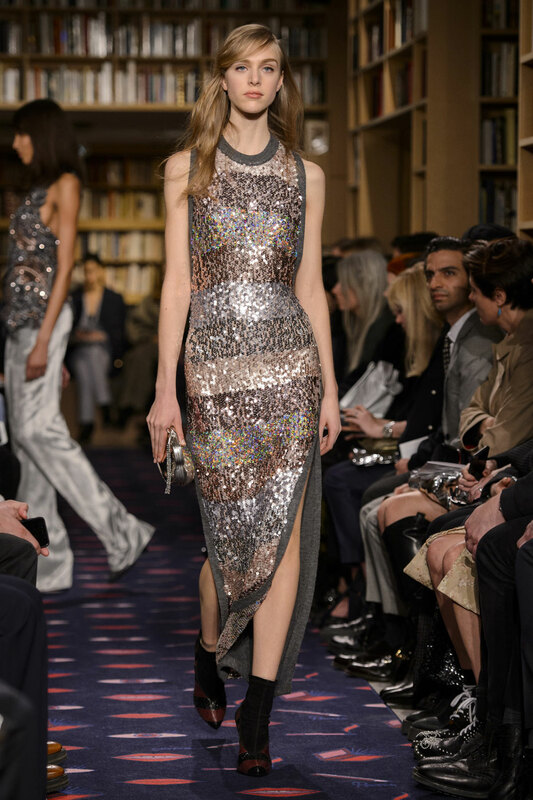 On the catwalk the mirror was represented in the shine, shimmer and sparkle of her chosen fabrics. 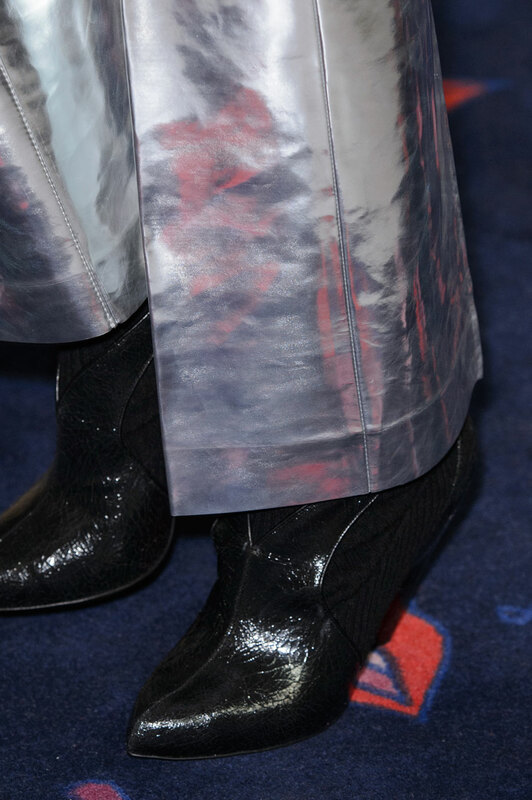 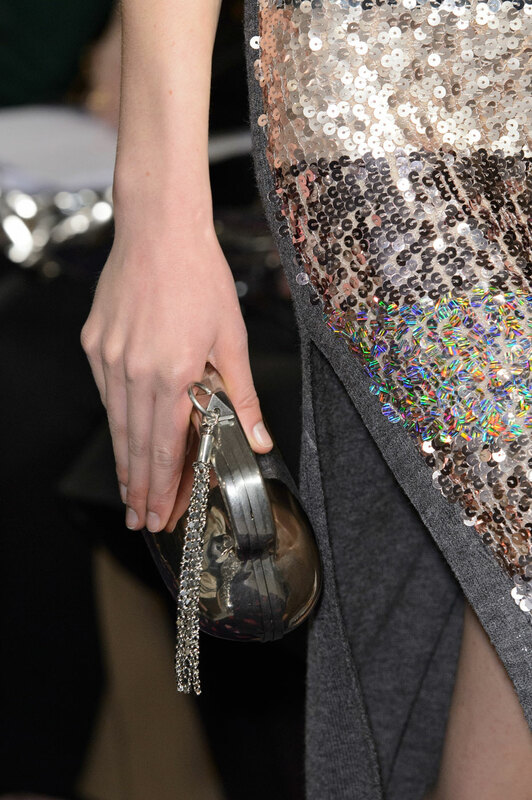 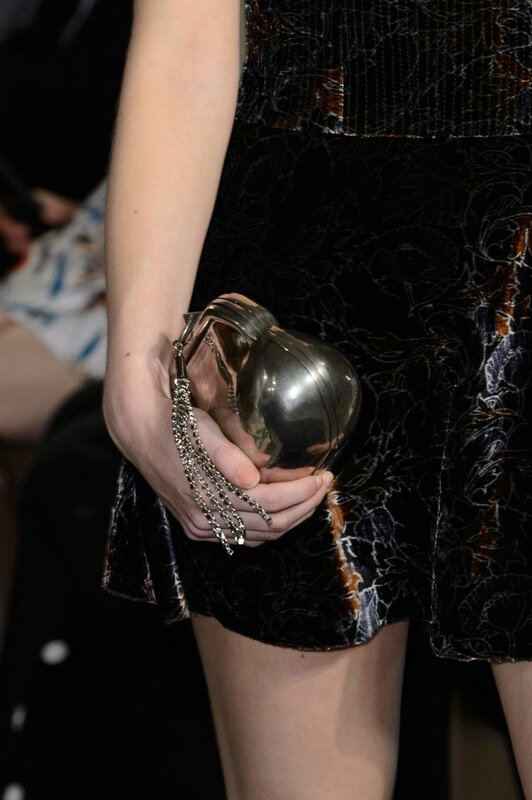 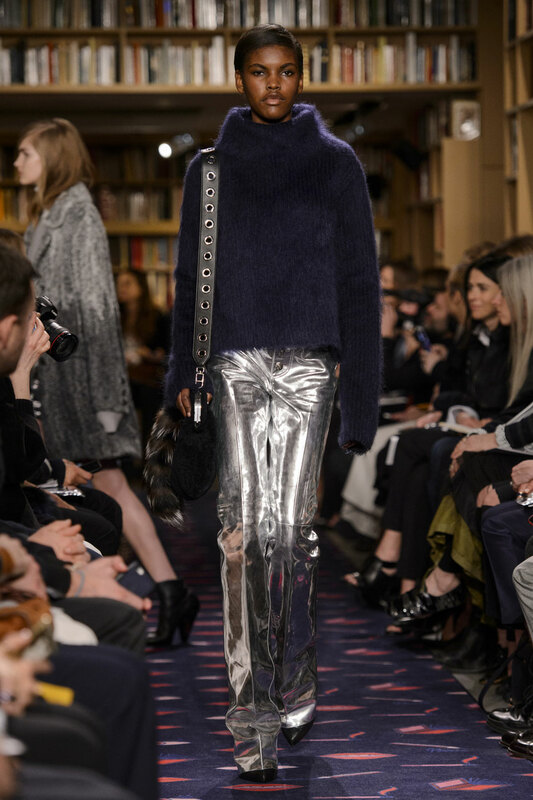 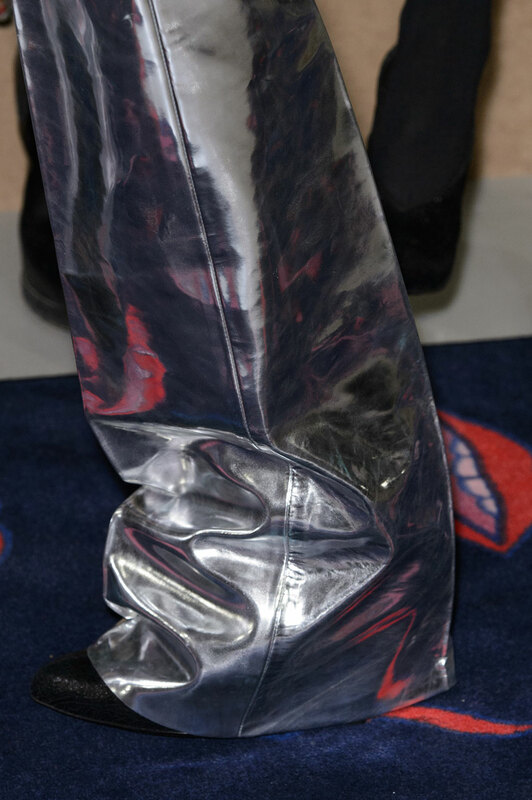 Eye-catching silver leather flared jeans, silver metallic perforated mini skirt decorated with eyelets and an apron dress in silver and black snakeskin stripes reflected the bright runway show lights. 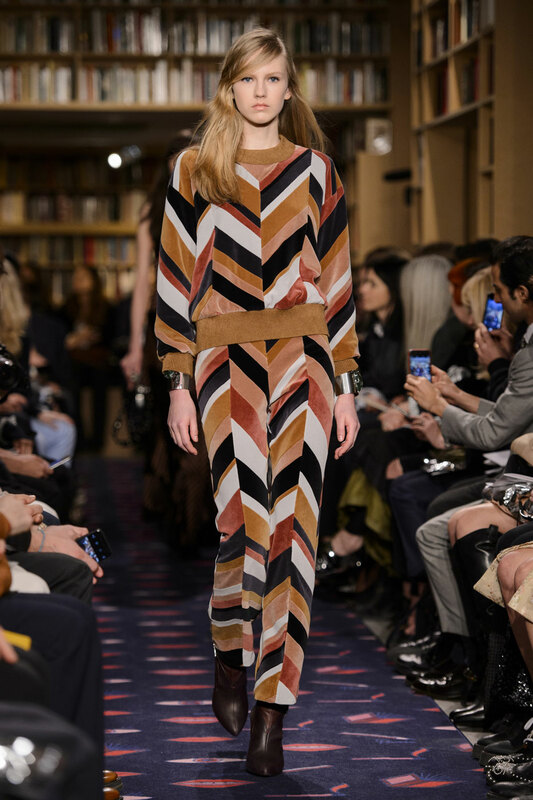 Contrasting this, de Libran played with rich textures. 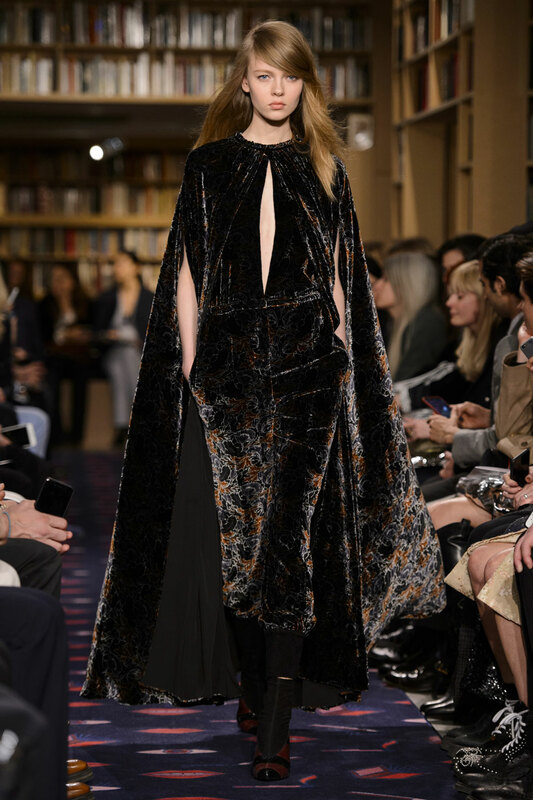 Elongated flares, key hole cut-out detailed and printed jumpsuits and a cape ensemble came in deep hued velvet. 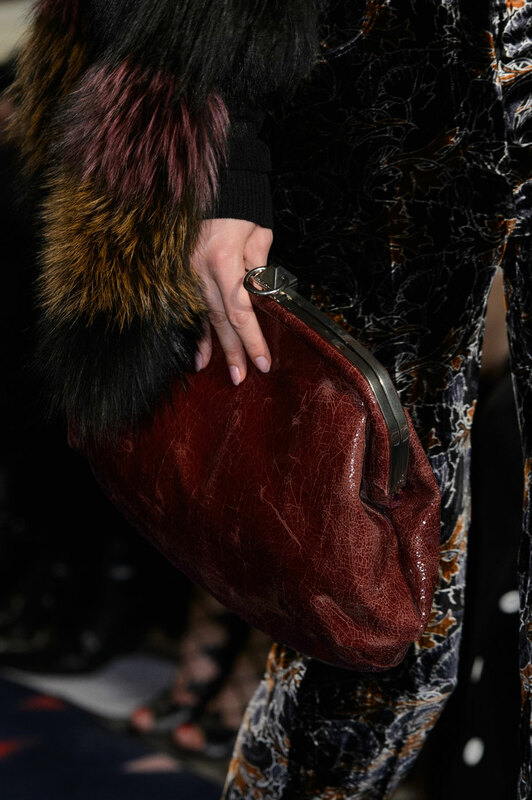 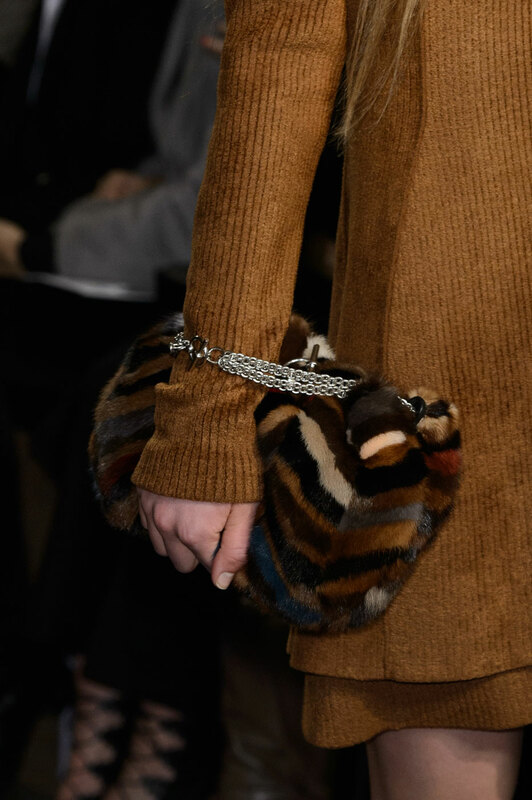 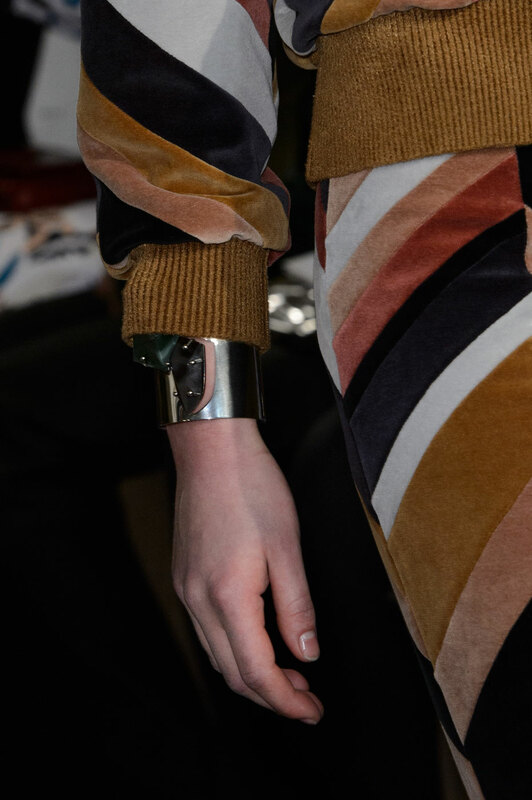 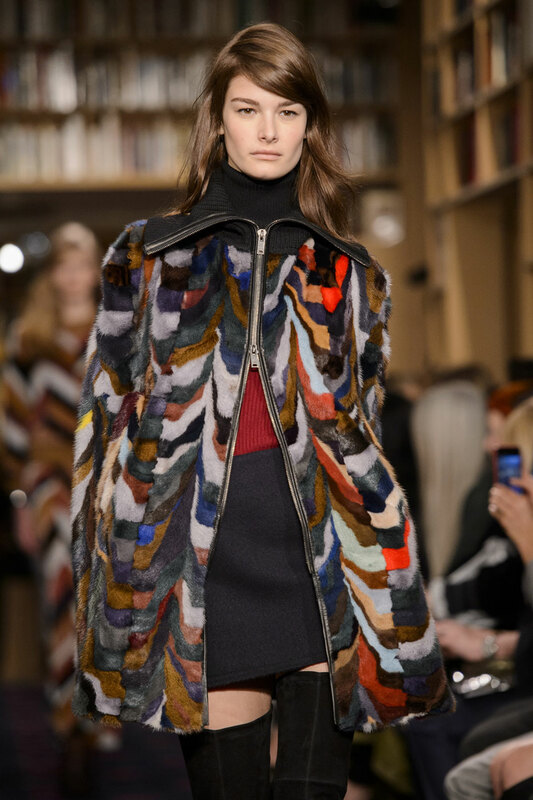 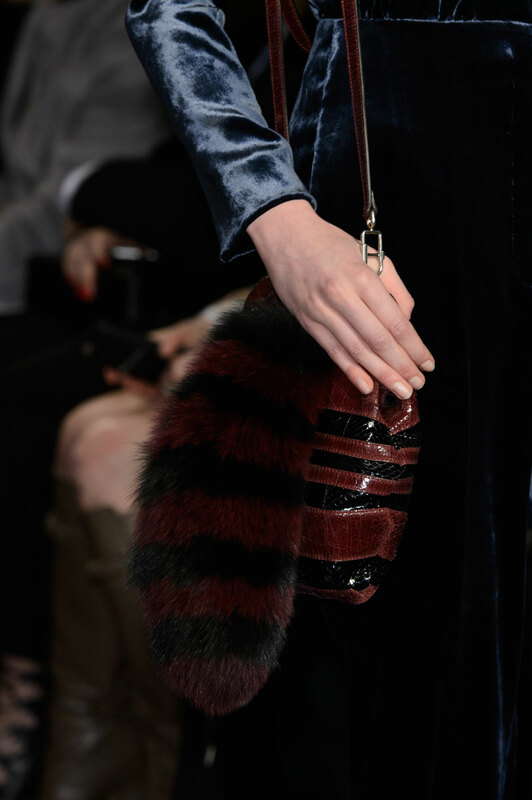 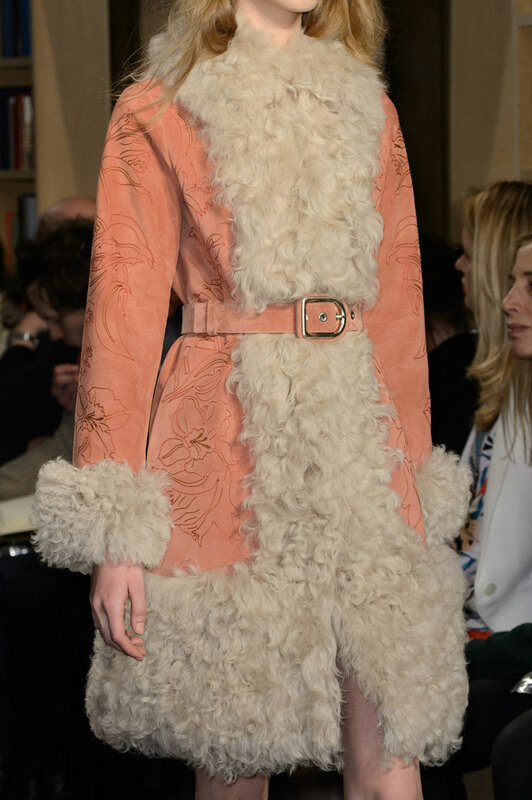 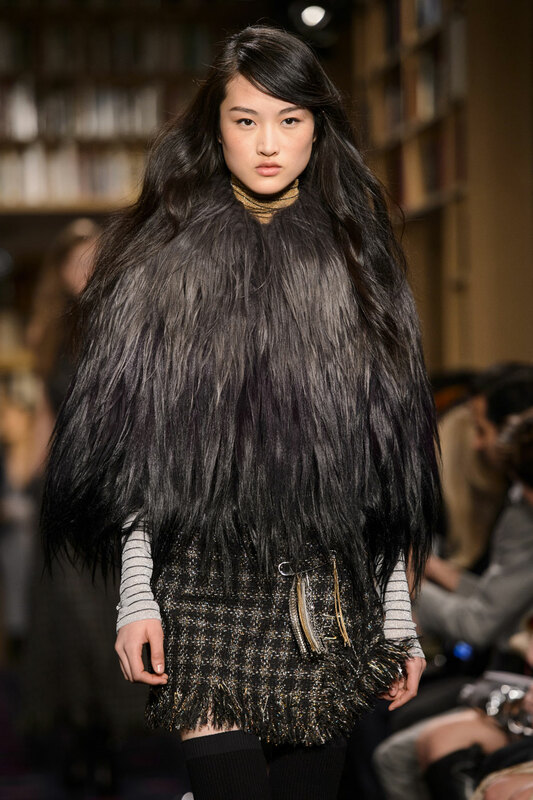 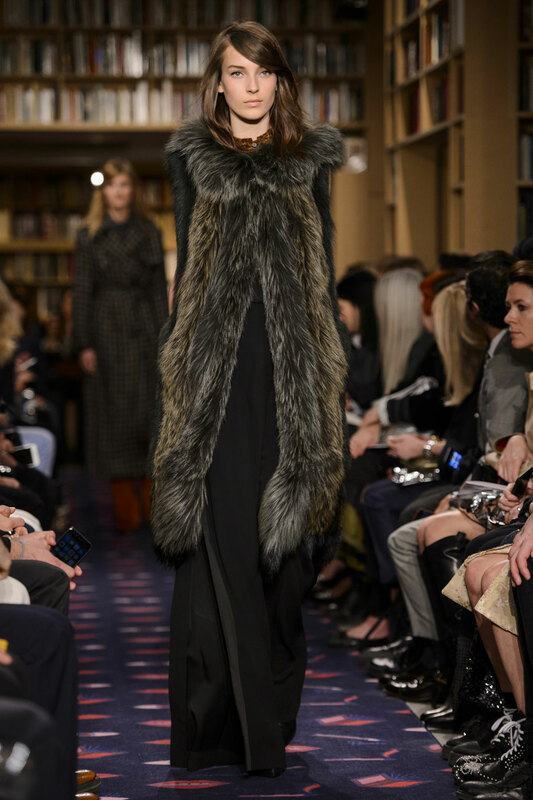 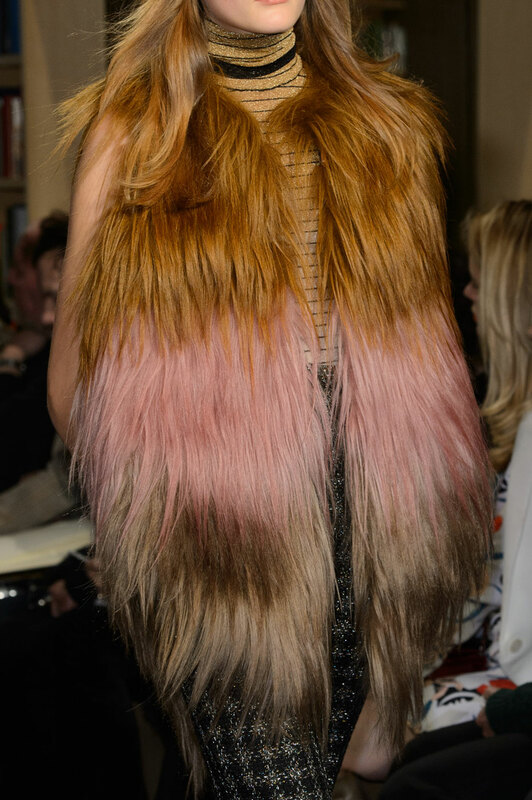 The collection also included fur knits, sequined knit dresses and long fur coats, all done in colourful stripes. 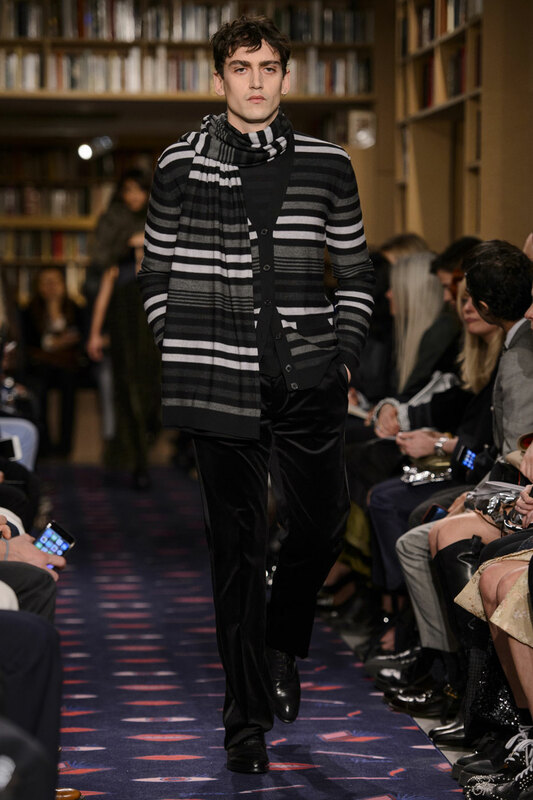 The colour palette was rich yet light with hues of silver, deep navy, green, purple, beige and pink. 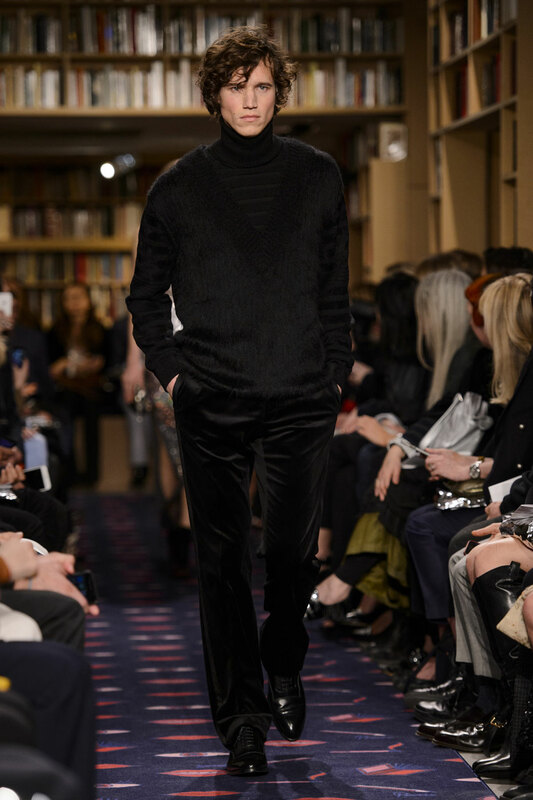 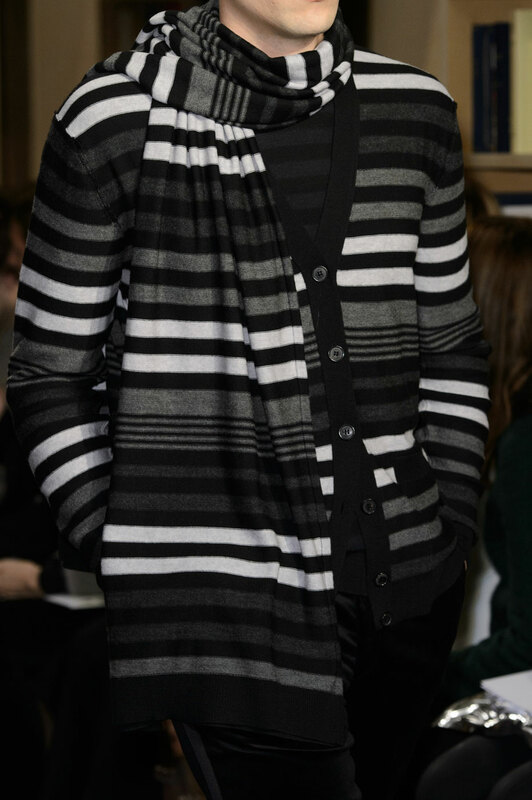 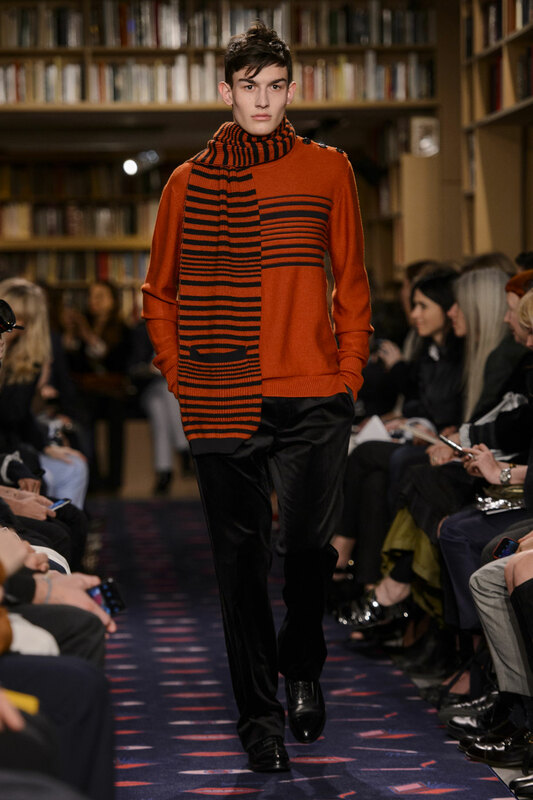 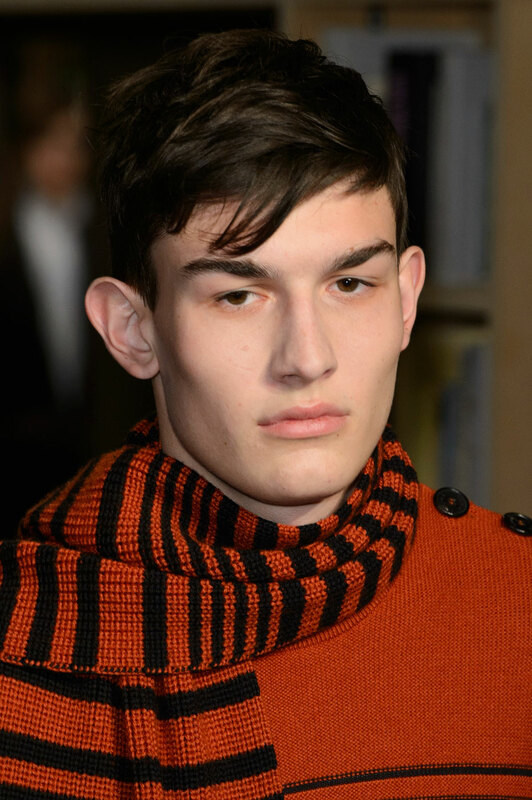 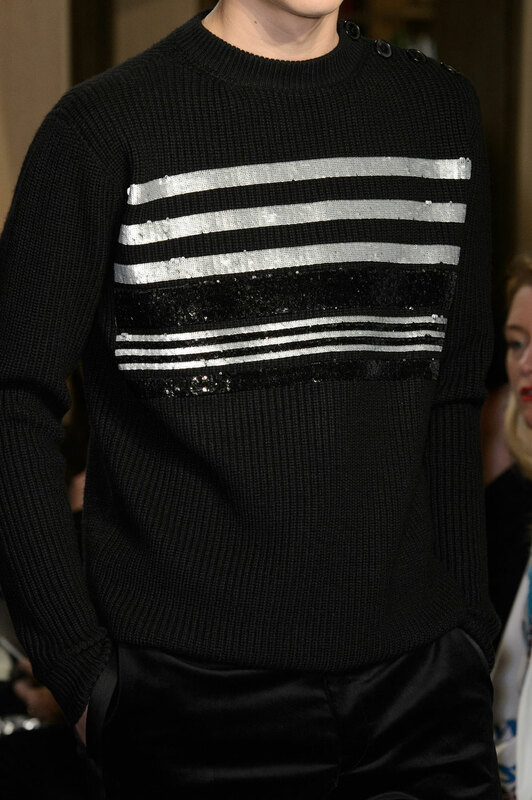 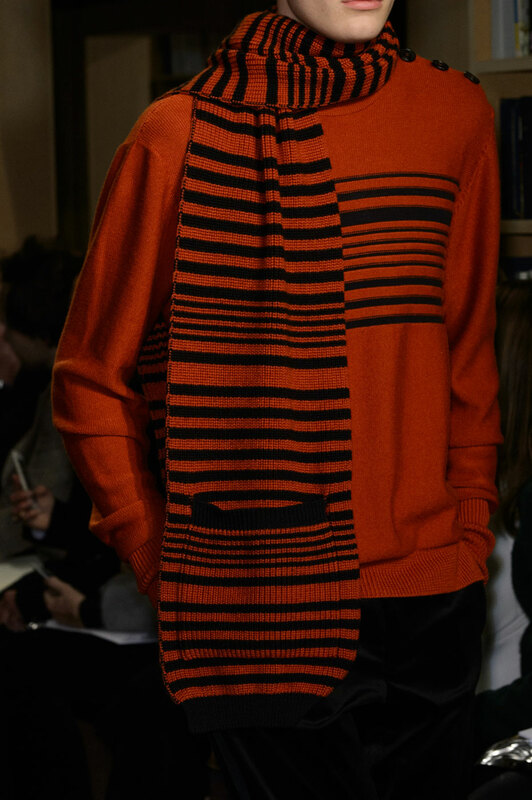 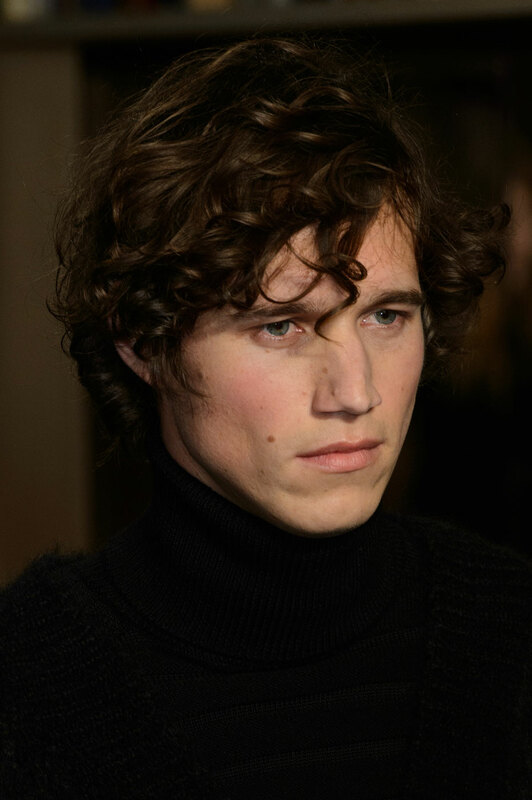 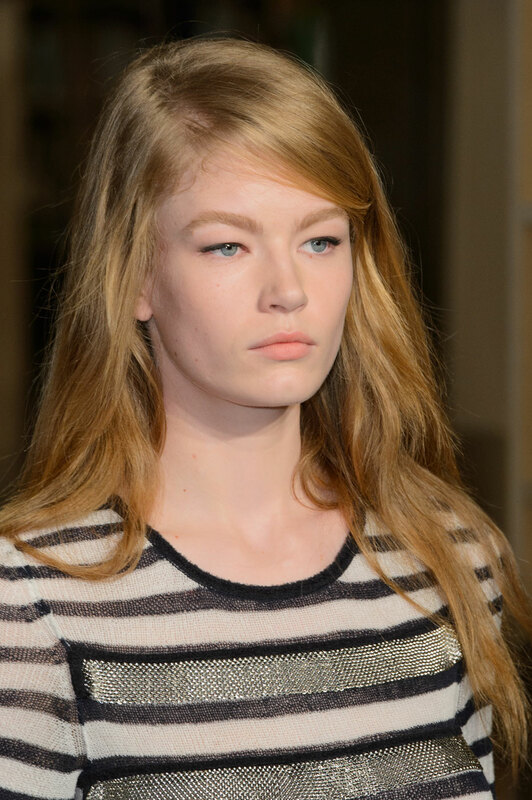 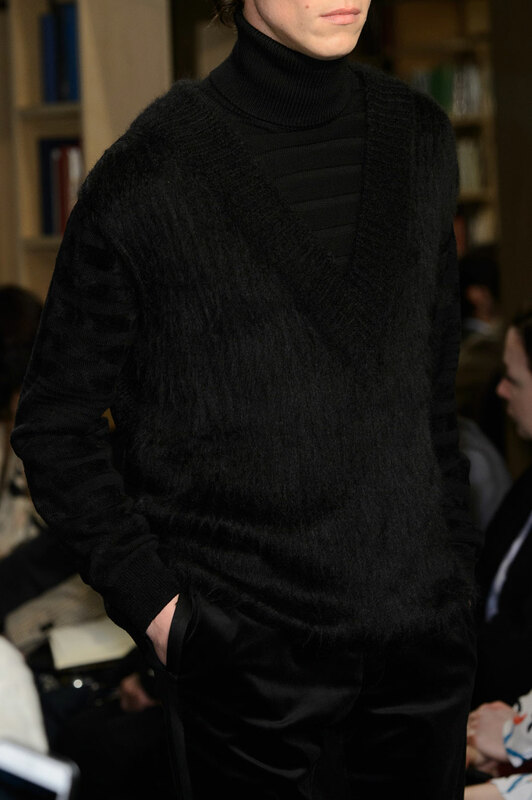 Male models were featured wearing new versions of the classic Rykiel unisex striped sweaters. 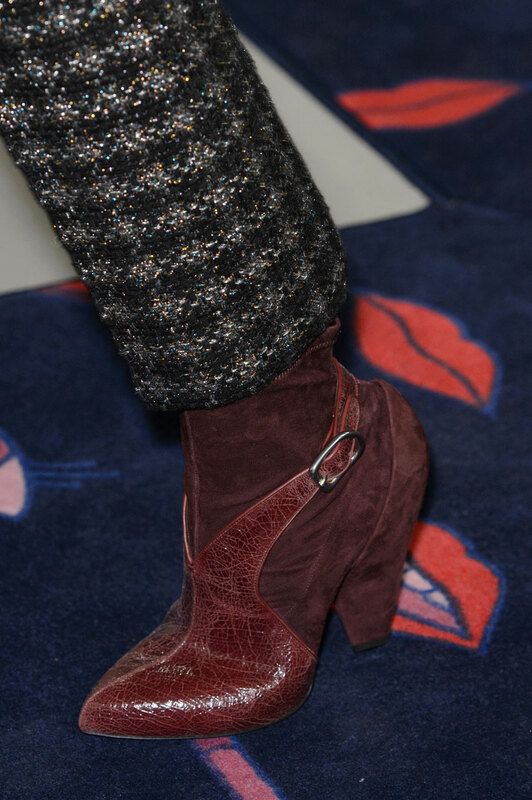 Models strutted down the catwalk decorated in lips, eyes and lipsticks, in a variation of different styled boots and heels. 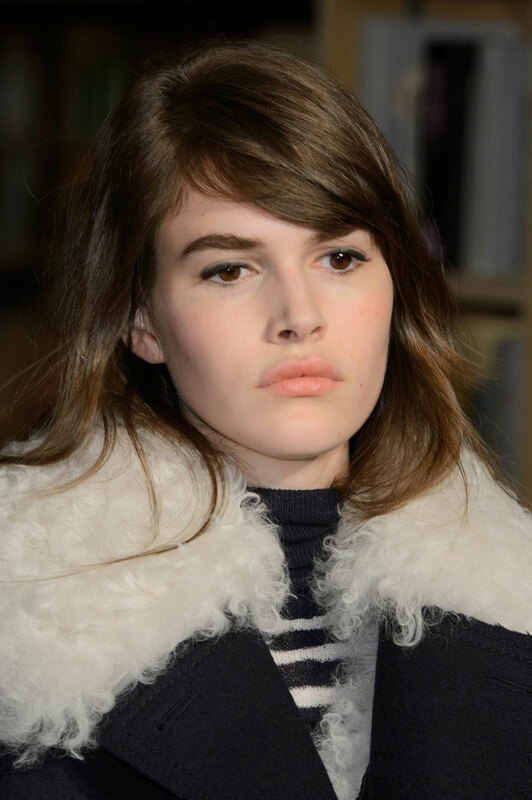 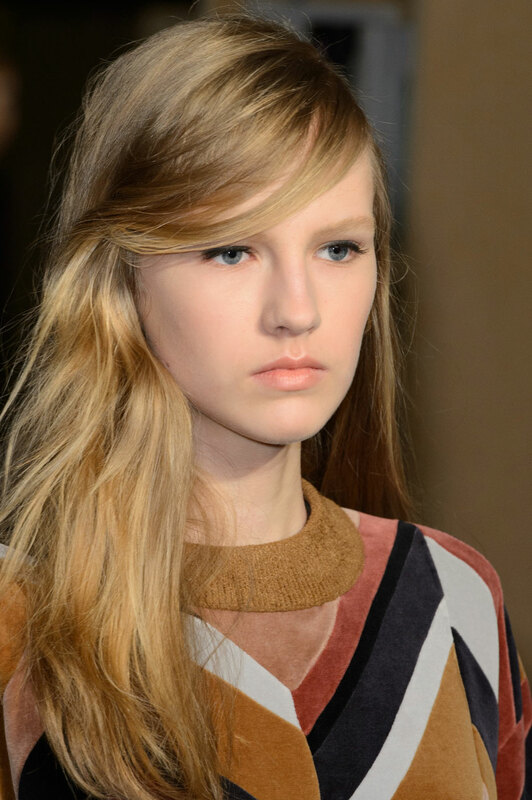 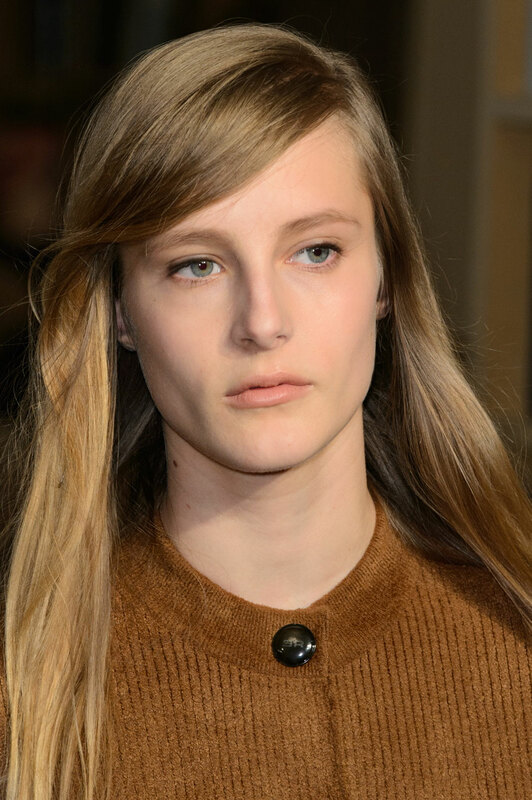 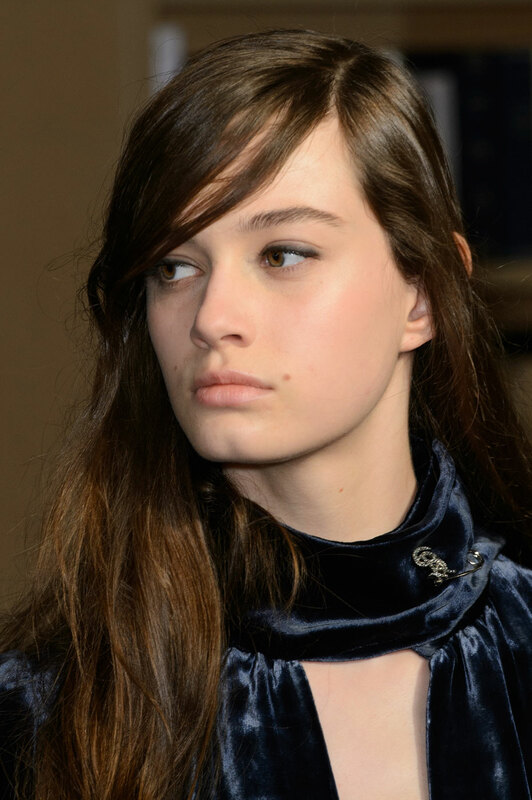 Make-up was kept simple and natural looking with side parted hair that loosely hung.